As reported by Deadline, Emmy-winning writer and producer Hugh Wilson has died. Wilson was the creator of WKRP In Cincinnati and the director and writer of multiple films, including Police Academy, Blast From The Past, and The First Wives Club. The news was first reported by WCAV-TV in Charlottesville, VA, which says he died “after an illness.” Wilson was 74. Born in 1943, Wilson graduated from the University Of Florida in 1964 with a degree in journalism and got a job in the advertising business in 1966. 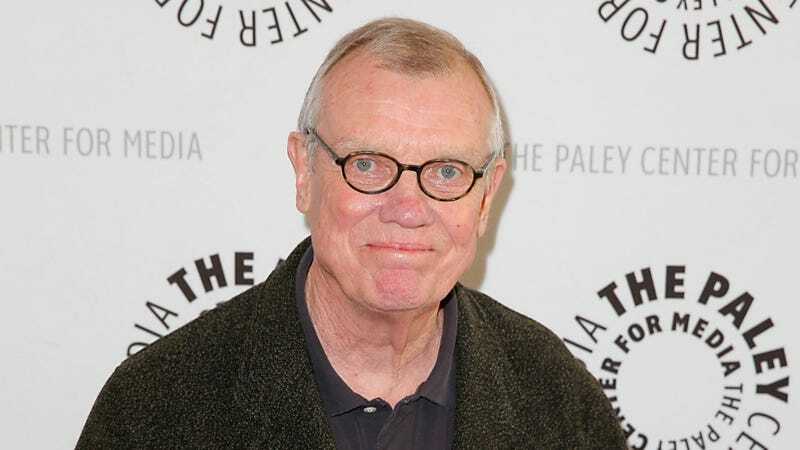 In the ‘70s, he got a job working at Mary Tyler Moore Productions and was eventually given writing gigs on The Bob Newhart Show and The Tony Randall Show. Wilson then created WKRP In Cincinnati for CBS in 1978, taking inspiration for stories from real things that happened while he worked at a radio station in Atlanta. The show wasn’t a big ratings hit, but it was nominated for multiple Emmys and became a much bigger success once it went into syndication. In the ‘80s, Wilson co-created Frank’s Place and Easy Street, neither of which lasted very long, and he followed those up with the Jon Cryer-starring The Famous Teddy Z. Wilson tried to break into the movie business between those, directing Burt Reynolds in Stroker Ace and agreeing to re-write a low-budget comedy movie only once he was promised he could direct it as well. That movie, the 1984 comedy classic Police Academy, ended up spawning a seemingly endless parade of sequels—none of which Wilson was involved with. Wilson also directed the 1996 revenge comedy The First Wives Club with Diane Keaton, Bette Midler, and Goldie Hawn, as well as Brendan Fraser’s weird 1999 bomb shelter movie Blast From The Past.